2018年初在耶路撒冷出土的千年粘土印鉴或属于先知以赛亚 Is This the Prophet Isaiah’s Signature? 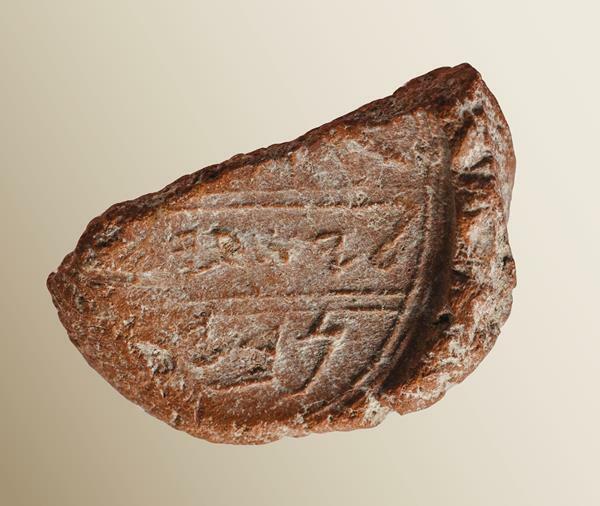 Uncovered in the Ophel excavations, this seal impression (bulla) may have belonged to the prophet Isaiah. At the top of the bulla are the remains of a grazing doe, a symbol of blessing. The name Isaiah appears in the middle register, and the letters nvy appear in the lower register. Adding an aleph to the damaged left end of the lower register would complete the word to nvy(’), which means prophet in Hebrew. King Hezekiah is one of the most important kings in the history of Israel. While scholars debate the historicity and literary embellishment of the reigns of David and Solomon, the reign of Hezekiah witnessed the defining event that engendered the tradition of Jerusalem as the inviolable city of God ― an event corroborated by the extra - Biblical account inscribed on the Sennacherib Prisms. Despite the conflicting details, Sennacherib’s inability to destroy Jerusalem confirmed both Hezekiah and Jerusalem as God’s chosen. And it was the prophet Isaiah ’s participation in the episode, and Hezekiah’s trust in his counsel, that is credited with the salvation of Jerusalem from the Assyrian menace. When King Hezekiah was crowned king of Judah, in 727 B.C.E., he maintained the policy of his father, Aḥaz, who had asked the Assyrian king to come and save him from Peqaḥ ben Remaliyahu, king of Israel, and Reẓin, king of Aram - Damascus. These two kings had attacked Judah in concert and besieged Jerusalem (see 2 Kings 15:36�C37). Hezekiah stayed loyal to the Assyrian king Sargon II (727�C705 B.C.E. ), who ruled during most of Hezekiah’s reign, while the surrounding kingdoms of Israel, Ḥamat, and those of the Philistines―one after the other ― rebelled, were defeated, and became Assyrian vassals. It was only after Sargon II’s death, in 705 B.C.E., that Hezekiah rebelled fully against Assyria. Yet according to the Assyrian annals, in 712 B.C.E. Hezekiah also had been involved in a rebellion ― led by the Philistine city of Ashdod ― against Sargon II, which resulted in the conquest of Ashdod and its transformation into an Assyrian vassal. However, only a heavy tax payment was seemingly imposed on Hezekiah, who probably paid on time, thus saving himself and his kingdom from a similar fate. Subsequently, Hezekiah led regional preparations for a rebellion against Assyria, which eventually broke out after Sargon II’s death. During most of his reign, Hezekiah’s policy of avoiding confrontation with Sargon II ― and the relative freedom he experienced by not becoming an Assyrian vassal ― enabled him to focus on Judah’s internal affairs. Under his rule, Judah became a center for all the people of Israel, including the inhabitants of the former Kingdom of Israel, and the Temple in Jerusalem played a major role as the holiest place for all. Hezekiah is described in 2 Kings as the greatest king, second to King David, “his father”: “There was no one like him among all the kings of Judah, either before him or after him” (2 Kings 18:5). Both palace complexes probably underwent multiple changes and renovations since their construction, but a significant, reinforcing enterprise, undertaken by King Hezekiah in the Lower House of the King, also known as the House of Millo (2 Kings 12:20 [v. 21 in Hebrew]; 2 Chronicles 24:25),（注3 “Eilat Mazar, The Palace of King David. 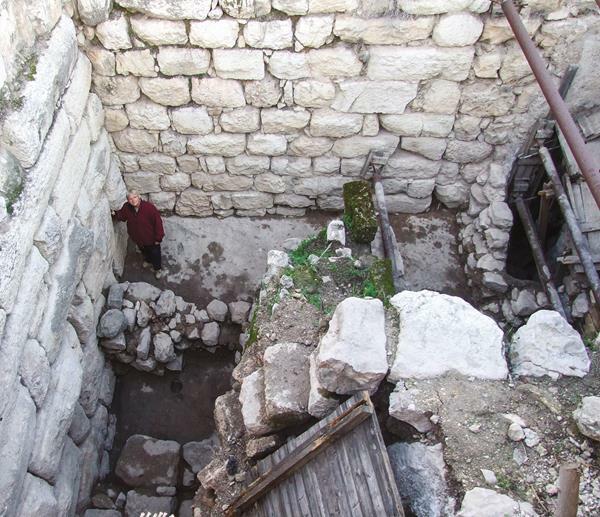 Excavations at the Summit of the City of David, Preliminary Report of Seasons 2005�C2007 (Jerusalem: Shoham Academic Research and Publication, 2009), p. 67. ”） was particularly worth mentioning in the Bible, due to its sophisticated and extensive nature (2 Chronicles 32:5).（注4 “Eilat Mazar, “The Stepped Stone Structure,” in Eilat Mazar, ed., The Summit of the City of David Excavations 2005�C2008 (Jerusalem: Shoham Academic Research and Publication, 2015), pp. 169�C188.”）Under Hezekiah’s orders, this complex functioned as a palace-fortress, reinforced as part of his defensive preparations against the imminent Assyrian attack (2 Chronicles 32:5). Structures built by King Solomon (1 Kings 3:1) were found beautifully preserved in an area about 328 feet long and 33�C82 feet wide in the northeastern outskirts of the Ophel. These structures consist mainly of a segment of the fortification wall with the city gate and its large tower, and parts of royal buildings that were integrated within the fortification line. Due to the steep slanting of the bedrock in this area facing the Kidron Valley, the fortification wall and its integrated buildings were built on particularly massive foundations set straight on bedrock. These structures were preserved to a height of 13�C16 feet, uncovered at only 3�C7 feet beneath the present surface level. 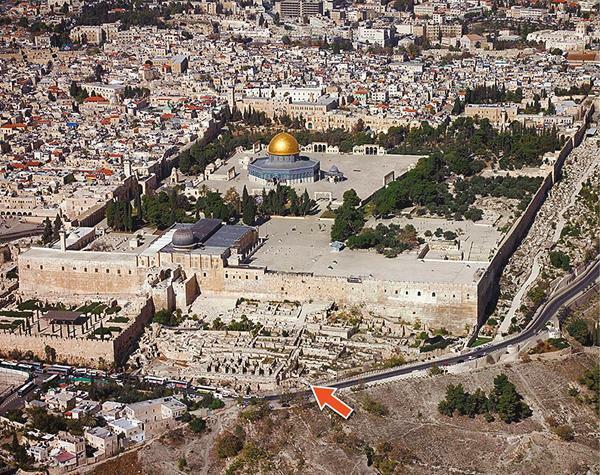 Looking northwest, this photograph identifies the location of the Ophel site immediately south of the Temple Mount in Jerusalem. The arrow points to Area A2009, where King Hezekiah’s and Isaiah’s bullae were found. One of these buildings, adjacent to the city gate on the northeast, was discovered during the 1986�C1987 excavations.（注5 “Eilat Mazar and Benjamin Mazar, Excavations in the South of the Temple Mount, the Ophel of Biblical Jerusalem, Qedem 29 (Jerusalem: Hebrew University, 1989), pp. 29�C48; Mazar, Discovering the Solomonic Wall, pp. 53�C100. ”） The building’s ground floor, preserved to a height of about 13 feet, was last used by the royal bakers up to its destruction by the Babylonians in 586 B.C.E. The sophisticated administration of the royal bakery required a high official in charge and a well - organized supply system of high - quality food products, such as flour, oil, and sweetening agents like bee - honey, date - honey, fig - honey, and fresh and dry fruits. It also required a well - organized storage place and baking spaces. Within the ground floor of this building, which we named the Royal Building or the Building of the Royal Bakers, were found some large jars (pithoi). On the shoulder of one of these jars, an inscription in ancient Hebrew indicates that it belonged to the high official in charge of the bakery (the end of the word “bakery” is missing, but its reconstruction in this manner is quite certain). On another large jar, which most likely contained date-honey, a palm tree design was incised. It is evident that the building was used by the royal bakers at the end of the First Temple period, and it may have had the same use in Hezekiah’s time. THE TOWER, BAKERY, AND WALL. Archaeologist Eilat Mazar stands in Area A2009 of the Ophel excavations. This area contains the Iron Age walls of the Small Tower (left), the Building of the Royal Bakery (center), and the Straight Wall (right) ― all part of the city wall in King Hezekiah’s time. Seven of the bullae found in the debris, all with coarsely woven linen negative impressions on the reverse, appear to have belonged to the relatives of an important individual named Bes, a name of an unclear meaning neither found in the epigraphic material of the period nor known from the Bible. Three of these bullae belonged to one of Bes’s grandsons named “Yerahmiel son of Nahum son of Bes” and one to a second grandson named “Ahimelekh son of Pel[?] son of Bes.” The names on the other three bullae, although clearly belonging to sons and grandsons of Bes, could not be identified. That all the bullae of the Bes family mention three instead of the usual two generations, emphasizes the status of Bes as the head of the family, most likely well known in the manufacture of the products held within these coarse linen sacks ― or in the administration associated with it. Although only five names of the Bes family were deciphered, including the name Bes itself, none contains elements of the divine name Yahweh, pointing, perhaps, to the non - Judahite origin of the family. two small patches of undisturbed debris from the Iron Age were excavated in 2009. In Patch A, undisturbed layers were found adjacent to the outer wall of the Building of the Royal Bakers and the Straight Wall, both of which date to the Solomonic construction period at the Ophel. 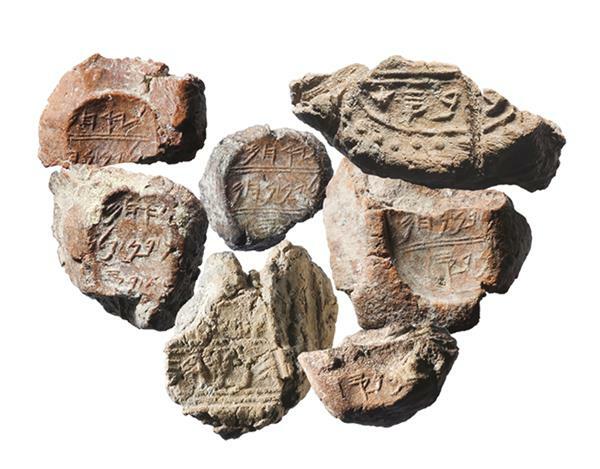 Alongside the bullae of Hezekiah and the Bes family, 22 additional bullae with Hebrew names were found. Among these is the bulla of “Yesha‘yah[u] Nvy[? ].” The obvious initial translation, as surprising as it might seem, suggests that this belonged to the prophet Isaiah.（注9 “I would like to thank Professor Shmuel Ahituv and Dr. Haggai Misgav, profound and erudite epigraphists with whom I consulted and shared my thoughts.”） Naturally, this bulla is far more intriguing than all the others found adjacent to Hezekiah’s bulla. All the undisturbed Iron Age layers excavated in this area were wet - sifted, a process through which earth debris is washed with water. The use of this technique resulted in the rescue of hundreds of small finds which otherwise would not have come to light, including all the bullae from the area. two small patches of undisturbed debris from the Iron Age were excavated in 2009. The undisturbed lower layers of accumulated debris from Patch B were found at the foot of the Small Tower’s outer wall; this debris had been thrown from the Building of the Royal Bakers during the Iron Age. 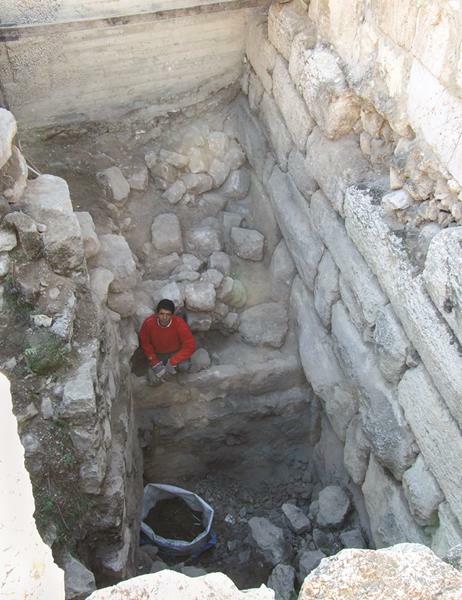 Also wet-sifted was the material from the lowest half - meter, down to bedrock, of the same Iron Age layers, where a foundation trench（注10 “Locus 09-96 in Area A2009; adjacent to the southern end of Patch A.”） was cut for a wall of a Herodian vault. This material, coming from the northwestern end of the foundation trench,10 included the bulla of Yesha‘yah[u] Nvy[?]. It was located only 6.5 feet southeast from the wall of the Building of the Royal Bakers, while the bulla of King Hezekiah was found about 13.1 feet southeast from the same wall; thus, less than 10 feet separated the bulla of Yesha‘yah[u] Nvy[?] and the bulla of King Hezekiah. The seal impression of Yesha‘yah[u] Nvy[?] is divided into three registers. The upper end of the bulla is missing, and its lower left end is slightly damaged. The surviving portion of the top register shows the lower part of a grazing doe, a motif of blessing and protection found in Judah, particularly in Jerusalem, present also on another bulla from the same area.（注11 “In Area A2009. See Tallay Ornan, “The Beloved Neehevet, and Other Does: Reflections on the Motif of Grazing or Browsing Wild Horned Animals,” in Israel Finkelstein, Christian Robin, and Thomas Römer, eds., Alphabets, Texts and Artifacts in the Ancient Near East: Studies Presented to Benjamin Sass (Paris: Van Dieren, 2016), pp. 279�C302.”） The middle register reads “leyesha‘yah[u]” (Hebrew: ; [belonging] “to Isaiah”), where the damaged left end most likely included the letter vav (w; Hebrew: ). The lower register reads “nvy” (Hebrew: ), centered. The damaged left end of this register may have been left empty, as on the right, with no additional letters, but it also may have had an additional letter, such as an aleph (’ ; Hebrew: ), which would render the word nvy’ (Hebrew: ), “prophet” in Hebrew. The addition of the letter aleph (’) creates the occupation name (like Baker, Smith, or Priest) for “prophet,” nvy’ in plene spelling. 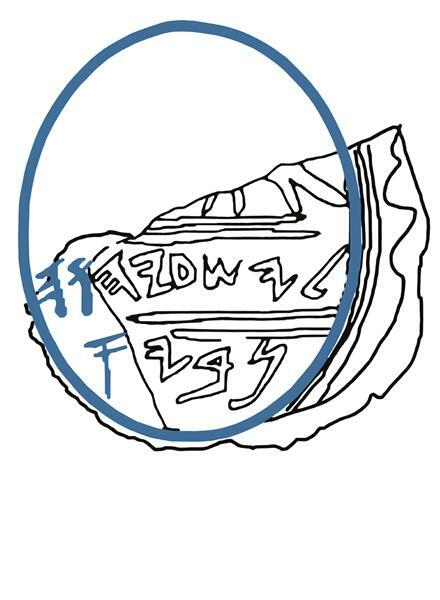 The defective spelling of the same word, nv’ (without the vowel yod), is present on an ostracon from the Judahite site of Lachish.（注12 “Harry Torczyner et al., Lachish I: The Lachish Letters (London: Oxford Univ. Press, 1938), pp. 50�C51.”） Whether or not the aleph was added at the end of the lower register is speculative, as meticulous examinations of that damaged part of the bulla could not identify any remnants of additional letters. Finding a seal impression of the prophet Isaiah next to that of King Hezekiah should not be unexpected. 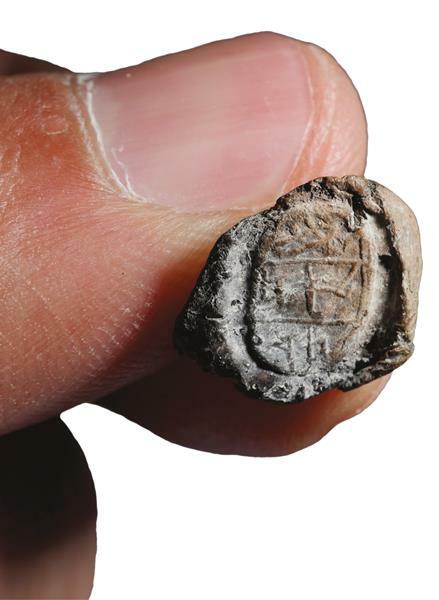 It would not be the first time that seal impressions of two Biblical personas, mentioned in the same verse in the Bible, were found in an archaeological context. 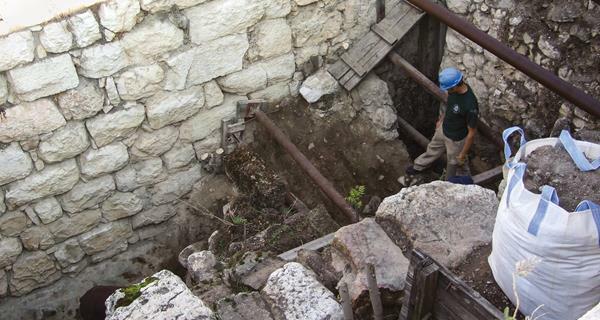 In our City of David excavations (2005�C2008), the seal impressions of Yehukhal ben Shelemiyahu ben Shovi and Gedaliyahu ben Pashhur, high officials in King Zedekiah’s court (Jeremiah 38:1), were found only a few feet apart.（注13 “Eilat Mazar, The Palace of King David, pp. 66�C71.”） Furthermore, according to the Bible, the names of King Hezekiah and the prophet Isaiah are mentioned in one breath 14 of the 29 times the name of Isaiah is recalled (2 Kings 19�C20; Isaiah 37�C39). No other figure was closer to King Hezekiah than the prophet Isaiah. 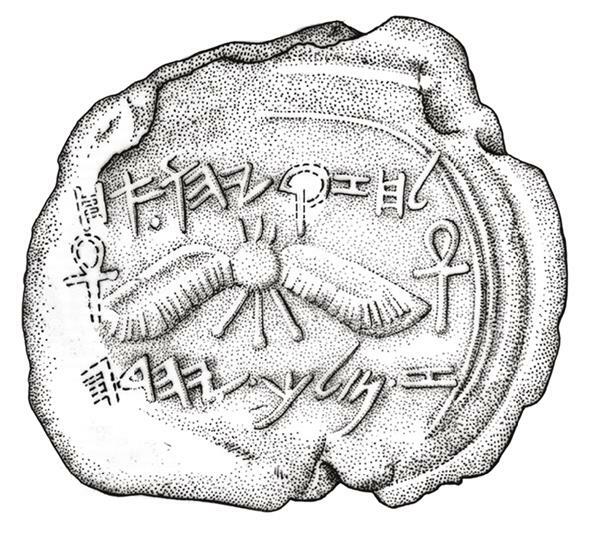 This bulla bears the name Aḥiḥur and has a winged uraeus symbol at its top. Freestanding bullae like this were used as receipts, not to seal parcels or documents. With that said, when considering the identification of this seal impression as that of the prophet Isaiah, some major obstacles arise. Without an aleph at the end, the word nvy is most likely just a personal name. 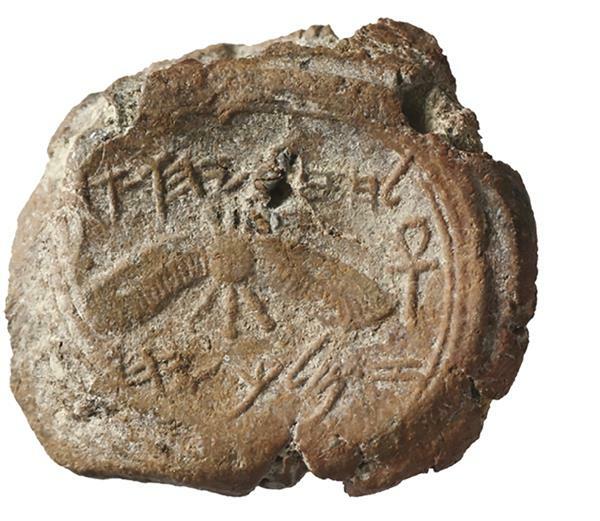 Although it does not appear in the Bible, it does appear on seals and a seal impression on a jar handle, all from unprovenanced, private collections.（注14 “Nahman Avigad, Corpus of West Semitic Stamp Seals (Jerusalem: Israel Exploration Society, 1997), nos. 227, 379, 693; Robert Deutsch, Biblical Period Hebrew Bullae: The Josef Chaim Kaufman Collection, vol. 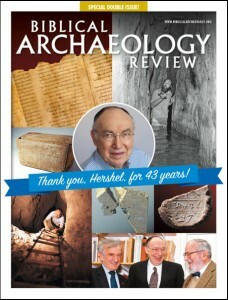 2 (Tel Aviv: Archaeological Center Publications, 2011), no. 434. 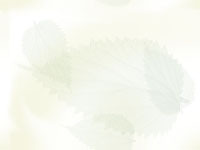 The standard layout of names on bullae is composed of the owner’s name and his father’s name, with or without the additional word bn (“son of”) before the father’s name. Due to lack of space on the small bullae, the word bn (“son of”) was often omitted. Thus, the absence of the Hebrew word for “son of” before the word nvy, like in our bulla, is not uncommon ― if indeed Nvy was his father’s name. However, a lack of space was apparently not the case in our bulla, since the letters in both registers were written spaciously, and no attempt was made to find space for the two letters bn. 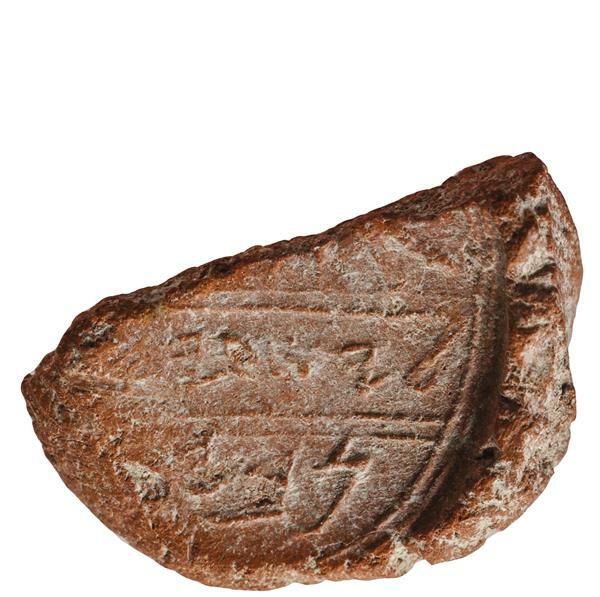 KING HEZEKIAH’S SEAL IMPRESSION (bulla) mentions his name and the name of his father, Aḥaz, in the upper register, as well as Hezekiah’s title as king of Judah in the lower register. The symbol of the two-winged sun disk flanked on both sides by an ankh extends over the full length of the bulla’s central part. On the back of the bulla is seen the imprint of the papyrus on which the bulla was impressed. Avigad suggested that the name nvy is derived from the toponym Nov (Hebrew: ), a known town of priests (see 1 Samuel 21:1; 1 Samuel 22:11, 19; Nehemiah 11:32; Isaiah 10:32).（注16 “Nahman Avigad, “New Names on Hebrew Seals,” Eretz Israel 12 (1975), p. 71.”） If our inscription indeed records a toponym derived from the site of Nov, it would still be missing the definite article (“h -” or “ha -” in Hebrew), as seen in the Bible when a toponym is added to a name, such as in “Ahiya Hashiloni” (Ahiya the Shilohite), or “Ahitophel Hagiloni” (Ahitophel the Gilohite). However, more significant is the fact that no other seal or seal impression with a personal name followed by the name of a place ― with or without a definite article ― has ever been found. Nevertheless, Reut Livyatan Ben - Arie, who studied the bullae from the Ophel with me, suggests that there is enough space for two more letters at the end of the second register: a “w” (vav), the last letter in the name Yesha‘yahu, and an “h,” the definite article “the” for the word navy’ (“prophet”), rendering it hanavy’ (“the prophet”). One can wonder why the seal’s designer would choose to insert the definite article at the end of the second register instead of at the beginning of the word navy’ on third register, where there seems to have been enough space. But, as strange as it may seem to us, this division of words is not unusual in ancient Hebrew writing. In fact, a good example of this can be seen in King Hezekiah’s bulla, where the name of his father, Ahaz, spreads over two registers, with the last letter pushed into the lower one. Thus, the spreading of a word over two registers on seals seems to have been accepted, if not common. 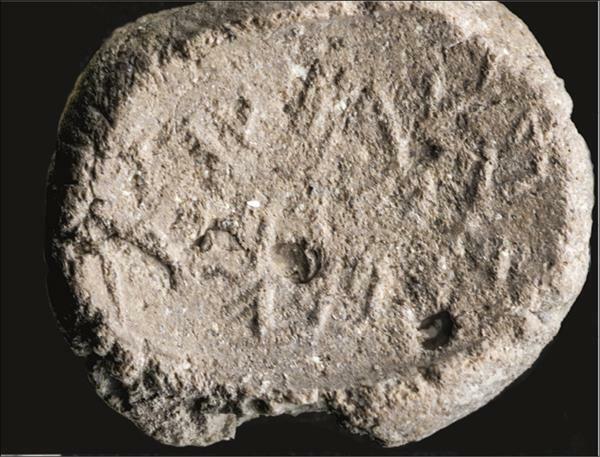 Seven seal impressions (bullae) representing three generations of the Bes family were found together with the bulla of King Hezekiah. The Bes family appears to have been involved in the royal administration or was a supplier. The family’s bullae sealed the coarsely woven linen bags held in the Building of the Royal Bakers. Except for the bulla of the healer and perhaps that of Yesha‘yahu, no other bullae with the Hebrew definite article “h” at the beginning of a title have been found in an excavation; a few unprovenanced bullae reading “the scribe” and “the priest” are known from private collections.（注18 “Avigad, “New Names,” nos. 21�C22, 28”） On the other hand, no seals or bullae with single - word titles such as “prophet” (nvy’), “scribe” (spr), or “priest” (khn) that lack the definite Hebrew article “h” at the beginning are known from excavations or private collections. The Bible shows support both for the use of the definite article with a title and for its omission. For example, the title “secretary” (mzkyr) appears both with (2 Samuel 20:24) and without (2 Samuel 8:16) the definite article “h,” with reference to the same individual. The same is true for the title “scribe” (swpr), which appears both with (Isaiah 36:22) and without (2 Samuel 8:17) the definite article “h,” with reference to two different individuals. ISAIAH THE PROPHET? The Isaiah bulla’s top register shows the remains of a grazing doe. Its middle register reads, “leyesha‘yah[u],” which means “[belonging] to Yesha‘yah[u]”; the anglicized name of Yesha‘yahu is Isaiah. This register’s damaged left end probably originally included the Hebrew letter vav (the “[u]” of “Yesha‘yah[u]”), and perhaps a heh (“h”), which would have served as the definite article (“the”) for the following word. The word nvy appears in the lower register. If the Hebrew letter aleph were added to the end of this word, at the bulla’s damaged left end, the word would then read nvy’, which signifies a “prophet” in Hebrew. This would strongly suggest that the bulla belonged to the prophet Isaiah. ISAIAH THE PROPHET? The Isaiah bulla’s top register shows the remains of a grazing doe. Its middle register reads, “leyesha‘yah[u],” which means “[belonging] to Yesha‘yah[u]”; the anglicized name of Yesha‘yahu is Isaiah. This register’s damaged left end probably originally included the Hebrew letter vav (the “[u]” of “Yesha‘yah[u]”), and perhaps a heh (“h”), which would have served as the definite article (“the”) for the following word. The word nvy appears in the lower register. If the Hebrew letter aleph were added to the end of this word, at the bulla’s damaged left end, the word would then read nvy’, which signifies a “prophet” in Hebrew. This would strongly suggest that the bulla belonged to the prophet Isaiah. The bulla’s back (pictured here) demonstrates that this seal impression originally had been stamped on a coarse linen bag. Likewise, prophets did refer to themselves as nvy’ without the definite article “h,” as we learn from the prophet Elijah, who says, “I alone am left a prophet (Hebrew: ) of YHWH” (1 Kings 18:22). On the other hand, in merely two chapters of the Book of Kings, Isaiah is mentioned as “Isaiah,” “Isaiah the prophet,” “Isaiah the prophet the son of Amoz,” “Isaiah the son of Amoz,” and “Isaiah the son of Amoz the prophet” (2 Kings 19�C20), and in each occurrence the definite article “h” appears with the word nvy’ (Hebrew: ). It would seem, therefore, that there is no strict rule for the use of a title with reference to a persona. In light of the fact that titles appear both with and without the definite article, it is not surprising that the title nvy’ would appear on this bulla without it. ISAIAH THE PROPHET? The Isaiah bulla’s top register shows the remains of a grazing doe. Its middle register reads, “leyesha‘yah[u],” which means “[belonging] to Yesha‘yah[u]”; the anglicized name of Yesha‘yahu is Isaiah. This register’s damaged left end probably originally included the Hebrew letter vav (the “[u]” of “Yesha‘yah[u]”), and perhaps a heh (“h”), which would have served as the definite article (“the”) for the following word. The word nvy appears in the lower register. If the Hebrew letter aleph were added to the end of this word, at the bulla’s damaged left end, the word would then read nvy’, which signifies a “prophet” in Hebrew. This would strongly suggest that the bulla belonged to the prophet Isaiah. This drawing of the inscription shows the reconstructed vav, heh, and aleph. A very recent discovery from Jerusalem demonstrates the inconsistent use of the definite article “h” in both titles and professions on inscribed texts. A new bulla, dating to the end of the First Temple period, was uncovered during the IAA excavations conducted opposite the Western Wall of the Temple Mount.（注19 “Tallay Ornan, Shlomit Weksler-Bdolah, and Benjamin Sass, “A ‘Governor of the City’ Seal Impression from the Western Wall Plaza Excavations in Jerusalem,“ Qadmoniot 154 (2017), pp. 100�C103.”） The bulla depicts two figures standing opposite one another, with the writing lsr‘r (Hebrew: ; lesar‘ir) below them in Hebrew, indicating that the bulla belonged “to the governor of the city,” most likely that of Jerusalem. This discovery contributes greatly to the known assemblage of bullae with professional titles inscribed on them and is of special interest to us since it is missing the Hebrew definite article “h” before the word ‘ir (“city”). This title, with the definite article “h,” appears several times in the Bible, where it is also present in the plural form “governors of the city,” as in 2 Chronicles 29:20, which relates events from Hezekiah’s reign. This new information further strengthens our argument that the presence of the Hebrew definite article “h” placed before titles and professions on bullae was neither indispensable nor consistent in that period, but was subject to the discretion of the author. “SON OF NVY.” Two seal impressions (bullae) from Lachish read “bn nvy,” meaning “son of Nvy.” In this instance, nvy likely is a name. The bullae were found inside a juglet in Lachish Stratum II. One is pictured above. This seal impression of Isaiah, therefore, is unique, and questions still remain about what it actually says. 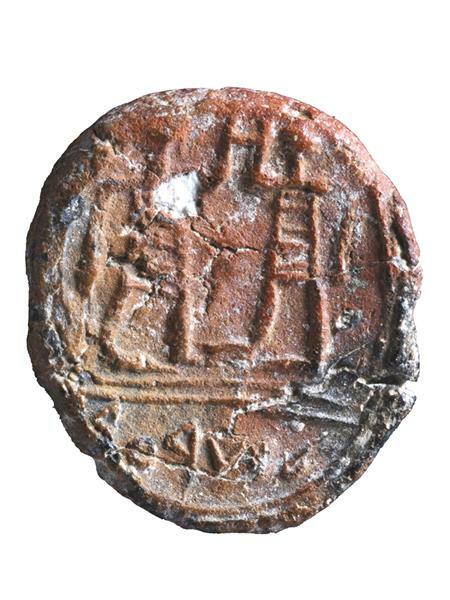 However, the close relationship between Isaiah and King Hezekiah, as described in the Bible, and the fact the bulla was found next to one bearing the name of Hezekiah seem to leave open the possibility that, despite the difficulties presented by the bulla’s damaged area, this may have been a seal impression of Isaiah the prophet, adviser to King Hezekiah. 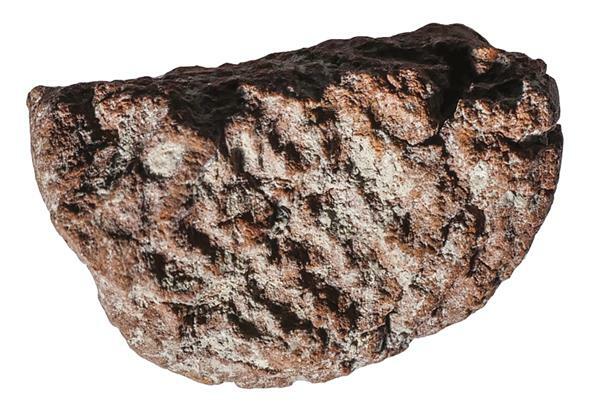 “[BELONGING] TO THE GOVERNOR OF THE CITY,” proclaims this First Temple period bulla uncovered in the Western Wall Plaza excavations in Jerusalem. Two figures face each other above the inscription.